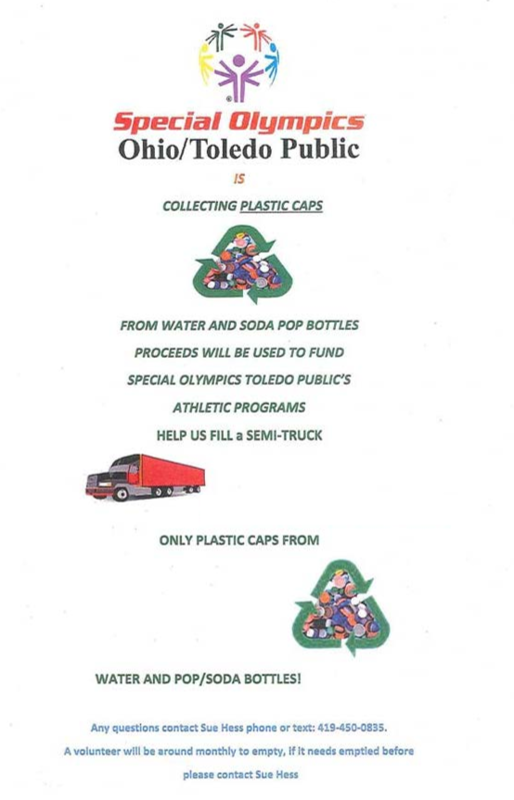 Since February, Bugbee & Conkle has been involved with helping Toledo Public Schools Special Olympics’ challenge to fill up a semi-truck with bottle caps from plastic bottles, pop bottles, etc. Once TPS Special Olympics reaches their goal, they will earn $5,000.00 to help fund the various sports (all of which are completely free to the athletes). Bugbee & Conkle is participating office wide and we have received many donations from others working in downtown Toledo. We invite everyone in the Toledo area to join us collecting bottle caps in the home or workplace. It will take a lot of bottle caps to fill a semi! For more information, see the poster below which is being used by the campaign if your office would like to participate.